With EA Play and new footage from EA Dice's Battlefront 2 just around the corner, the Star Wars community is patiently waiting, fervently speculating, and anxiously hoping for more out of the shooter's latest installment. One person at the forefront of this community of fans is YouTuber BattlefrontUpdates, whose channel is one of the most engaging of all Star Wars-centric YouTube channels. Recently, we sat down with the man behind the channel itself, Elliot, to discuss everything about the upcoming game. 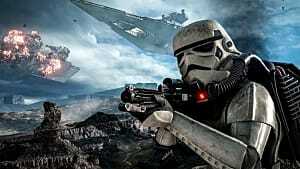 In an investors call, EA Dice compared the current Battlefront to the upcoming Battlefront 2 and stated that the game would be three times larger than its predecessor. BattlefrontUpdates covered this topic in a recent video, where he states the boast of a "3x larger" world may not necessarily be achieved. Elliot: They've added a single-player campaign and does that count as two times as much, three times as much? So I don't think there's going to be straight up three times as much multiplayer, maps, heroes, weapons. I think there will be maybe twice as many heroes, twice as many maps. It's hard to say exactly. We're getting singly player, three eras, and we have space battles. E: I think Asohka [will] definitely [be in the game]. She's probably the biggest character that isn't in the movies. I think Ashoka's [is a character] I could see [EA] potentially adding at some point. A large part of the current game is dodging your opponent's blaster fire by rolling. While some players are able to easily roll in the current game, others may find rolling to be odd -- especially if playing as a battle droid. Part of a live Q&A during Star Wars Celebration, Elliot believe that rolling will be kept to a minimum. 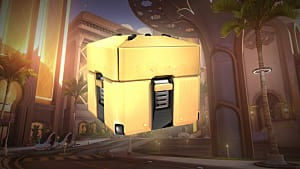 E: It sounded like when we asked about rolling at the Q&A, Dennis, the lead designer, said basically, that rolling will be in the game somehow. I don't think they'll have it so everyone can roll. But like you said, droids could roll in the original game and it looked very strange. On the other hand, it would be weird if Resistance, Rebels, First Order, Stormtroopers, and Clones could roll but not battle droids roll. I think they're going to limit the roll to one character class per faction -- I don't know. It's going to be limited somehow. Issues with Battlefront's mechanics have also been a talking point of many of BattlefrontUpdates live streams. The most egregious of these issues has involved the physics of climbing up obstacles in the game. Elliot believes EA could take notes from other games in their library. E: They have the perfect solution in Battlefield 1. It's the same engine [as Battlefront], so I don't see why they couldn't just port it. As soon as something is above knee height, you can just vault over it, and I think that works perfectly fine. I've never felt the same frustration in Battlefield as I have in Battlefront. Something simple you could do is increase the step size where basically, if you walk on a ledge or something that's not that high, you won't get stuck, so you could combine both. As noted by EA, Battlefront 2 is going to have new vehicles -- as well as space combat. And going into the sequel, ground to air combat is one of the most wished-for mechanics from fans. Elliot agrees that the idea is something a lot of gamers want, but is one that would need a lot of work. E: Honestly, I've never seen a good example of it working. Right now, we get some dogfights above the surface with strafe runs. I can't see a way of balancing a proper fluid space to ground battle. I don't see that [being] technically feasible. I know a lot of people want it, but I don't see a proper way of implementing it right now. 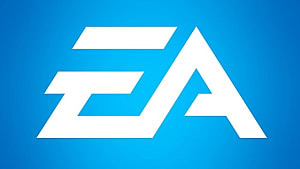 On top of that, game modes are a big question that hasn't been addressed by the game's developers as of yet, and getting to see new game play at EA Play will be a huge bonus. While BattlefrontUpdates will be at EA Play in June, game modes may or may not be officially unveiled, but he hopes some of Battlefront's game modes return. E: Walker assault definitely [should return]. Blast obviously. Extraction is one I really want them to keep. I personally would like them to combine multiple game modes. One thing I want to note with multi-stage battles: I'd prefer if they don't combine space and ground battles in the same list. It's fun in theory, but if you don't want to fly, you feel forced. But of all the game modes fans want in a new a new Battlefront game, Conquest gets the most requests. 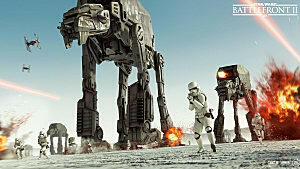 The current game boasts Walker Assault in place of Conquest, and both modes divide the fighting in different ways, and Elliot is unsure if EA will focus on the game mode in the upcoming sequel. E: It's a tough one. The current game, they have a front line. I've read a lot of discussions about Conquest. If you look at a Walker Assault and a Conquest game mode, it's completely different how people are split up. I think it all depends on the entire direction of the game. If I could have Walker Assault and Conquest, then yes, I would want it. 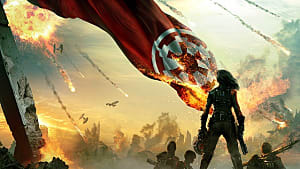 In Battlefront 2, players will control Iden Versio, marking a series of firsts for Star Wars. 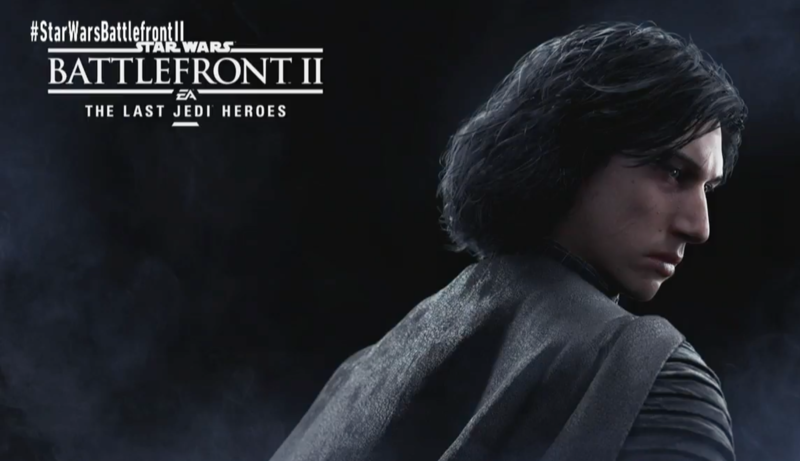 Not only will it be the first game that introduces a canon character since the Disney reboot of the franchise's history, but the first female villain lead for a single-player campaign. E: Just in general, when I heard about the campaign, the main thing I wanted to know is, 'What happened during those 30 years that just disappeared?' Something I'm really excited for is seeing Luke make an appearance. Although that isn't necessarily Iden's story, it's still linked to her -- seeing how all that links to the movies is something I think is going to be cool. 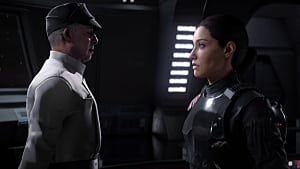 For all that has been shown concerning Iden, we still don't know if she will be a playable villain in multiplayer. While this seems like a logical conclusion, EA has not confirmed it, nor has any actual battle footage shown Iden. But Elliot there's no reason not to include her. E: Why not? All we know about her abilities is that she will have a backpack droid. If she's actually going to be introduced as a new character in this entire Star Wars universe, [one] that people will relate to, then I think she deserves a spot in the multiplayer hero roster as well. World-specific aliens are a huge part of the Star Wars experience, but unfortunately, these characters often took a back seat to other humanoid characters in the build up to the current Battlefront. Playing as world-specific characters when on certain planets was a huge part of the original game, but Elliot thinks there will be some limits to this as a new feature. E: I think to some degree, [but] maybe not like the old games where you could play everything. Let's say we get Kashyyyk. I think Wookies will probably be on the Republic's side, or if you play on Geonosis, you'll have Geonosians on the Separatists' side. I think we'll see things like that, but in terms of playable [characters], I think it will be limited. However, it's not just about characters. Skins are another area where the alien look could make an appearance. 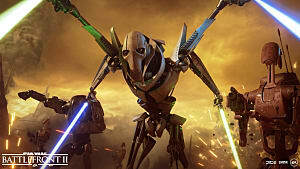 And while heroes have also been revealed to have different skins, BattlefrontUpdates is unsure of if it should extend beyond clothing choices. E: I feel like those kind of skins are going to be tricky. I think I'd rather have skins as their outfits based on their location. I don't think Luke will be able to switch between old Luke and young Luke -- I think that would be a little bit strange. Either have them as separate heroes or have one of them. Overall, Elliot is most excited for Battlefront 2's replayability. With everything that's been revealed so far, Elliot believes that players will have plenty to do before the game inevitably gets boring. E: Sure, its going to be cool with the campaign, but for me, personally, as someone who plays this game a lot and makes YouTube videos, I just think having more longevity in the game, being able to customize every class, hero, ship, and every weapon means I'll have a lot of stuff to do. It's going to be something where you're constantly progressing. I'm a completionist. I want to get everything unlocked. At the end of our interview, we got into a round of quick fire, where we asked Elliot some hypothetical questions about the new game and YouTube, the results of which gave us a clear picture of some BattlefrontUpdate's likes and dislikes. GameSkinny: Should Jar Jar Binks be in the new game? GS: Would you rather have the senate decide your fate or be the senate? GS: If you had to change your channel name right now, what would it be? E: That's a tough one. I don't think I have a serious answer, but I recently noticed the three games I talk the most about are Battlefront, Battlefield, and Battlegrounds. So maybe just BattleUpdates. GS: If you were another YouTuber, either one you know or don't know, who would it be? E: Probably Alex from Star Wars Explained. I wish I knew all the Star Wars stuff he does. GS: If you had to be one blaster from the current game, which would it be? E: If I had to be one? I would probably be the Bo-Rifle. I don't really have a good explanation. GameSkinny wishes to extend a huge thanks to Elliot to his channel for keeping us all updated on everything Star Wars gaming. You can support BattlefrontUpdates through Patreon.